Welcome to Protégé Dance Company! 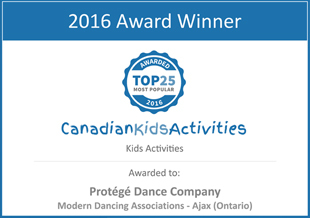 Protégé Dance Company has been serving families from across the Durham Region with excellent dance instruction since 2010. 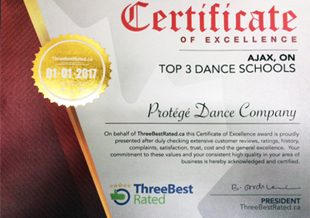 Our success over the past nine years is a combined result of our close-knit, family-oriented studio and our highly trained teaching staff providing Durham Region a unique dance studio culture like no other. We provide sound dance technique, meeting the demands of professional performance opportunities and careers but more importantly we instill self-confidence in every student. Protégé Dance Company caps all class sizes (10-15 students max per class) to ensure quality control in every classroom. Our small class sizes provides an intimate atmosphere where every child is attended to and cared for. Our professional dance curriculum and studio atmosphere inspires children of all ages, in a disciplined and motivational environment. Protégé Dance Company fosters a positive and healthy environment through the role-modeling of our exceptional teachers and administrator. In addition, we pride ourselves on organization and value open communication, integrity, honesty and respect for everyone involved. 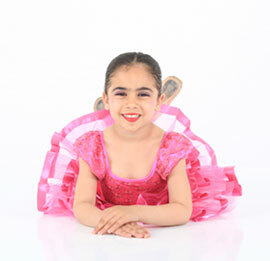 Risa Theatrical Productions of "Aladdin" & "Snow White"
Toronto Raptor's "Junior Dance Pak"
Classes in: mini munchkins and wee-acrobats (3-4yrs) creative combo, acro-tastic and itty bitty hip hop (5-6yrs) ballet, jazz, tap, acrobatics/tumbling, lyrical/contemporary and hip hop (7 -18 yrs). 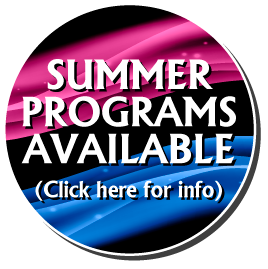 Programs available in recreational (3 yrs and up) and competitive (6 yrs and up) for boys and girls. 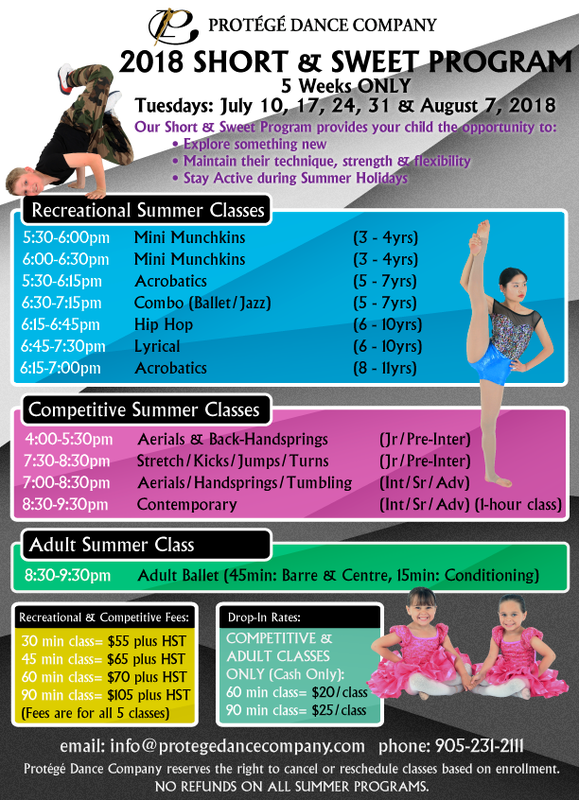 Examinations (Ballet & Acro) are also available for the studious dancer. "Hi Christine - I just wanted to send you a quick note to say thank you. The photo day was so organized and well run -- and I couldn't be more pleased with the results. In addition, your commitment to preparing all your students - rec and comp - for their final performances really stands out. I love seeing how the students are learning to be part of a real live production with the finale and other extra roles they learn for year end show. Your approach to these things and the little "extras" is part of what makes Protege special :) I know things are really hectic right now and I wanted to let you know that your efforts are noticed and appreciated!" "The confidence you have built in my daughter in this short time is truly a gift. You've not only taught them strong dance skills and technique but also to value their bodies, to have respect for themselves and to never settle for just ok. The things you and the rest of her teachers have taught my daughter like self esteem, self respect, determination, commitment, time management, social skills, just to name a few, you cannot put a price on that. I think you dance teachers are truly amazing and.... those babies that are starting out at Protégé just don't know how lucky they are!" "Christine, I wanted to take this opportunity to thank you for allowing me to share with your artists. I had a wonderful time and hope they will continue to grow on their journey. I am thrilled to see there are still teachers who teach discipline, work ethics and manners. It was indeed a breath of fresh air..."
"Miss Christine understands the precious and fleeting moments of childhood and how much us parents want to hold on to their innocence. 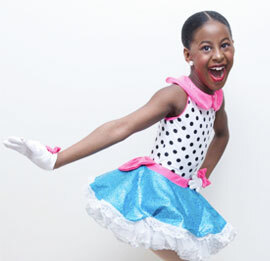 Every costume, every song and every move is age appropriate and very much appreciated by us." "Thank you Christine! I really appreciate what you have done for (my daughter), you have given (her) so much confidence which has helped improve her self esteem. Your show was a total blast and (of) professional quality!!! It was very impressive! Keep up the good work!" "Thank you for all you have done for (my daughter) over the years. I can't say that enough. Thank you for makiing her the dancer she is and always believing in her and pushing her to achieve." "Dear Christine, I want you to know how much my family so enjoyed watching yesterday's recital. It just blew all of our expectations. The venue was perfect, the costumes were gorgeous, the routines were choreographed so well, the music was wonderful and the talent and passion of these young people was so moving. On top of that my children had such a joyous and exciting experience, I know it will stay in their memories forever. Thank you for putting so much of yourself into every aspect of it. Your love of dance and desire to show others this world of art meets sport is so obvious. Your dedication to your studio, and to the kids that go to it is so very much appreciated." "Christine, I want to thank you and congratulate you on an incredible evening of dance!! I have never been so impressed by such a wonderful group of people! Not only is the talent amazing the show itself was so extremely enjoyable. The seamless organization impressed us all! The energy, and positive atmosphere you have created for all the girls is out of this world. I am so thrilled that (my daughter) is a part of your team! Congrats!" "ALWAYS 'age-appropriate' and ALWAYS with class!!" Signed - A Grandma"
"Thank you again for such an informative session last night, we all really learned a lot from (the) presentation. Can't wait to see (the dancers) in makeup/hair/costumes and see their dances. It's going to be a very exciting time. We continue to be impressed with how you run the dance company and by the excellent people whose presentations are so helpful. It was a very well-spent Saturday night." 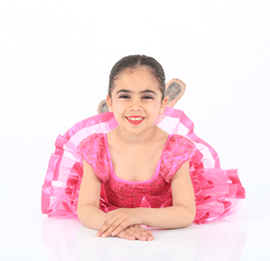 "I have truly enjoyed having (my daughter) dance at your studio. You are a 'class act', from the person you are to studio director. I know how much goes into doing what you do and I want to Thank You for everything. I can't say enough good things about you and your studio....everything has been WONDERFUL!" "Thank you so much for your support and help. All the teachers, you especially, pushed me to reach my potential as a dancer and I am so grateful for that. I will be continuing with dance in my spare time as much as possible. I am so happy that you entered my life because you are such an inspirational dancer and woman in general." "Thanks Miss Christine!!!! I've had soooo much fun with you this year! You are such an inspiration to me and you've never been afraid to challenge me. I am extremely grateful to you, more than you know! I've learned much from you and you've given me confidence that helps me not just in dance but in my everyday life as well. My life has only improved since you've taught me!